"People shouldn't move around in their past. Some things are best left forgotten." Warns the ancient Warlock Belial. He has The Last Witch Hunter chained to the floor in a thrilling new clip from Vin Diesel's latest adventure. Will Kaulder be able to break free and save the world? Or will the Queen Witch come to rule them all? The modern world holds many secrets, but the most astounding secret of all is that witches still live amongst us; vicious supernatural creatures intent on unleashing the Black Death upon the world. Armies of witch hunters battled the unnatural enemy across the globe for centuries, including Kaulder (Vin Diesel), a valiant warrior who managed to slay the all-powerful Queen Witch, decimating her followers in the process. In the moments right before her death, the Queen curses Kaulder with her own immortality, forever separating him from his beloved wife and daughter in the afterlife. Today Kaulder is the only one of his kind remaining, and has spent centuries hunting down rogue witches, all the while yearning for his long-lost loved ones. However, unbeknownst to Kaulder, the Queen Witch is resurrected and seeks revenge on her killer causing an epic battle that will determine the survival of the human race. Along side Vin Diesel's Kaulder, Rose Leslie stars as Chloe, Elijah Wood as Dolan Thirty-Seven and Michael Caine as Dolan Thirty-Six. The supporting cast is rounded out by Ólafur Darri Ólafsson, Rena Owen, Julie Engelbrecht, Joseph Gilgun, Isaach De Bankolé, Michael Halsey and Armani Jackson. Breck Eisner (The Crazies) directs from a screenplay by Cory Goodman (Apollo 18), Matt Sazama & Burk Sharpless (Dracula Untold). Vin Diesel teased this summer that Lionsgate is so excited for this movie that they are already planning a sequel, but nothing has been officially announced yet. The Last Witch Hunter hits theaters on October 23, which is shaping up to be one huge weekend at the box office. This action-thriller will go up against The Weinstein Company's comedy Burnt, Universal's Jem and the Holograms, Paramount's Paranormal Activity: The Ghost Dimension and Open Road Films' Rock the Kasbah. We not only have the first clip for The Last Witch Hunter, we also have 2 new TV trailers, one of which has Michael Caine explaining the state of Witchdom in America at this current point in our history. Will this be Vin Diesel's next big franchise? 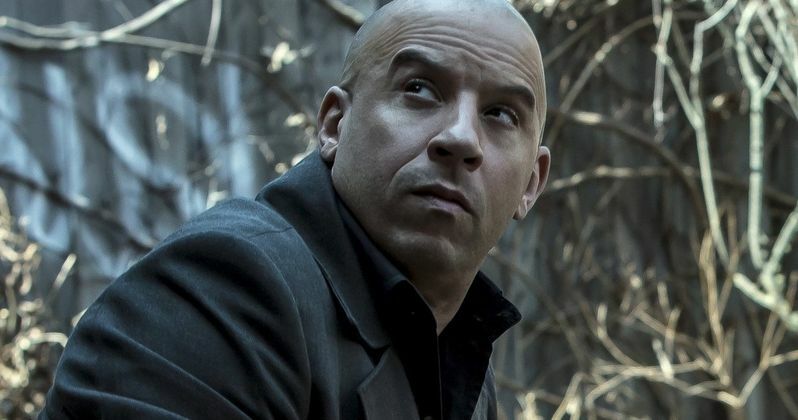 Can Last Witch Hunter Conquer This Weekend's Crowded Box Office?